Just as we expected, Eurodollar rebounded from local level of 61.8% (1.3860) and started falling down. 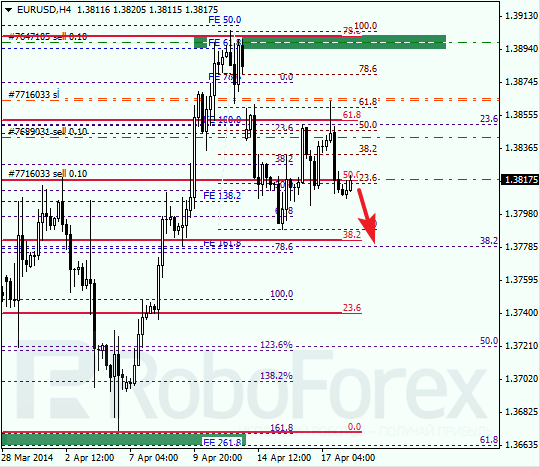 Earlier pair rebounded from the group of upper fibo levels (1.3900). Most likely, bears may break minimum next Monday. As we can see at H1 chart, I’ve got three sell orders already. Considering that price is moving below local level of 50% (1.3847), I decided to open another order, just as I planned before. Target is close to the group of lower fibo levels (1.3760). Franc managed to rebound from level of 50% (0.8785). 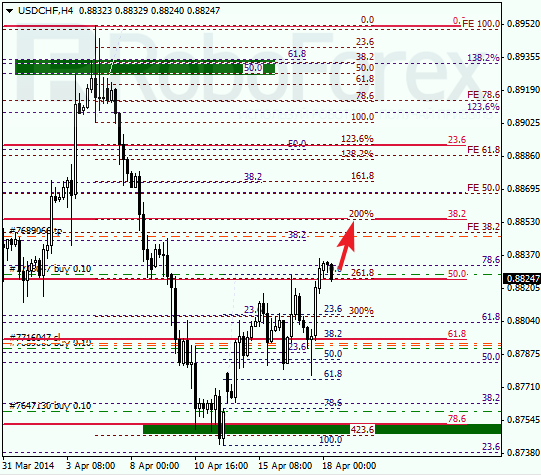 Earlier price rebounded from the group of fibo levels at 0.8745. During correction, I opened another buy order, the third one. 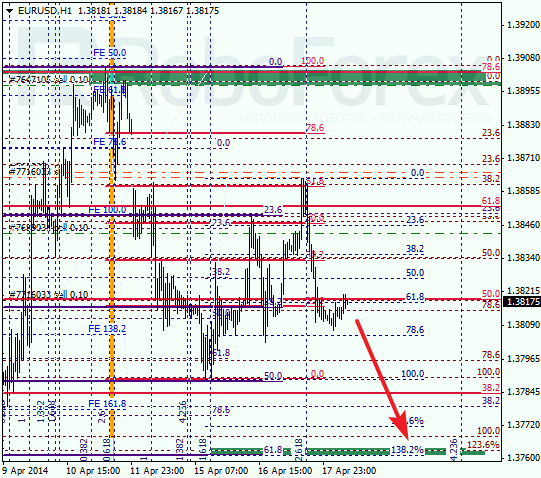 As we can see at H1 chart, price rebounded from local correctional levels right inside temporary fibo-zone. Franc successfully reached new maximum and started correction. Most likely, pair will consolidate during Friday and break maximum in the beginning of the next week.